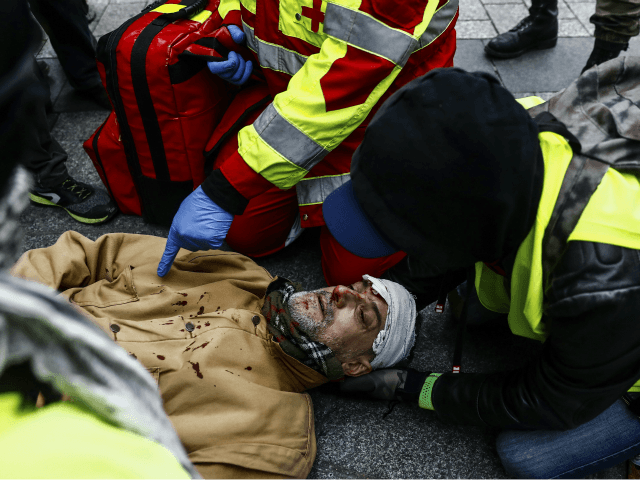 Emergency physician Dr Christophe Prudhomme, who works at a hospital in the Paris suburbs, said the highest number of injuries occurred at the “Act IV” protest in December but that every Saturday the hospital sees a surge in emergency cases. Dr Prudhomme also spoke out against the use of flash-ball shots that some have claimed were purposely aimed at protestors heads, saying: “The head is still something very fragile. At the level of the face, projectiles at high velocity can only cause damage,” he said. Physician Patrick Pelloux said that the next big challenge for emergency personnel could be an upcoming march in support of French president Emmanuel Macron scheduled for Sunday, noting. “It could rally opponents, especially Yellow Vests, and if people start fighting with each other, there is a risk of being overwhelmed,” he said.